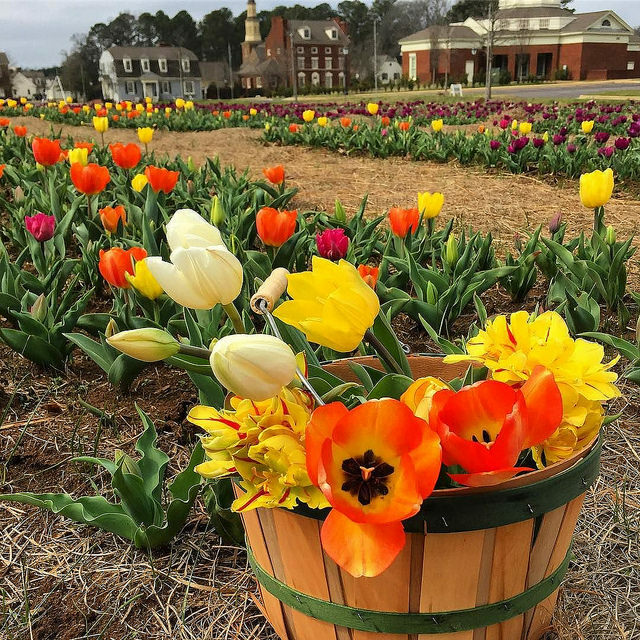 If you’re looking for a fun southern road trip idea this weekend, come tiptoe through the tulips in Montevallo, Alabama. The 2nd annual Festival of Tulips begins this Saturday and it is truly a sight to behold. There are THOUSANDS of tulip bulbs planted in a huge field that you can go dig up and take home to enjoy for years to come. My mom and I went to the tulip festival last year and I was able to take a bunch of pictures. Check out how beautiful they are! If you’ve never visited American Village in Montevallo, it’s definitely worth the trip. 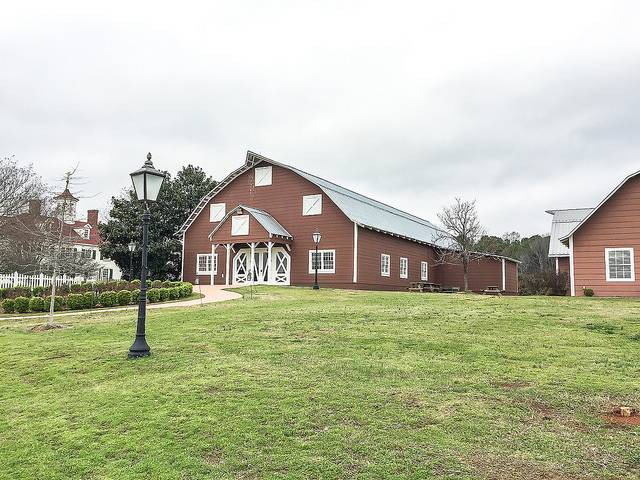 When I attended the University of Montevallo 20 years ago there was nothing along this strip of the highway except for one huge red barn in the middle of the pastureland. 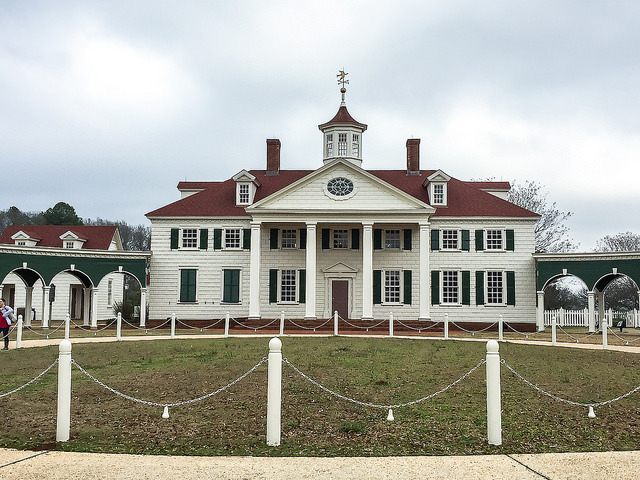 But one man named Tom Walker had a vision and decided to create a replica of George Washington’s Mount Vernon in the middle of this giant field. It turned out to be pretty amazing. Since then, other 18th-century replica buildings have slowly been popping up until there is an entire village out in that field now! It’s an amazing place to go and wander around and spend an afternoon. We went last year for my son’s 3rd grade field trip and the kids loved seeing this living history museum being acted out for them. 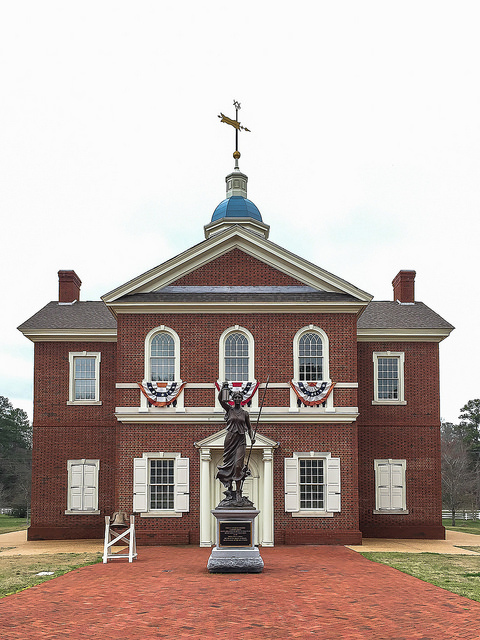 It reminds me so much of Colonial Williamsburg, but it’s sitting right here in the middle of Alabama. 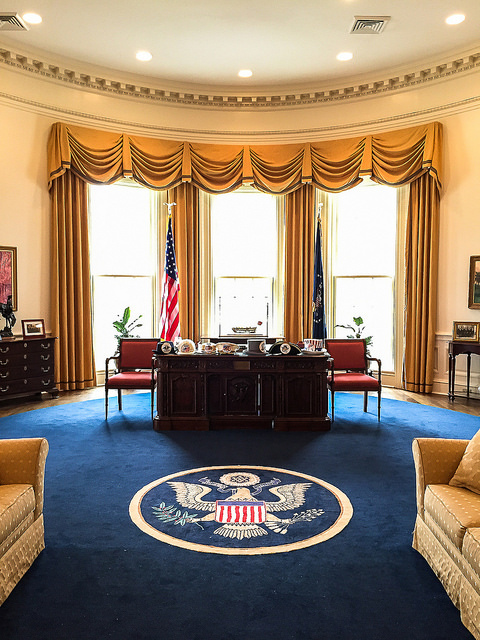 There is even an exact replica of the Oval Office, complete with jelly beans on the desk. 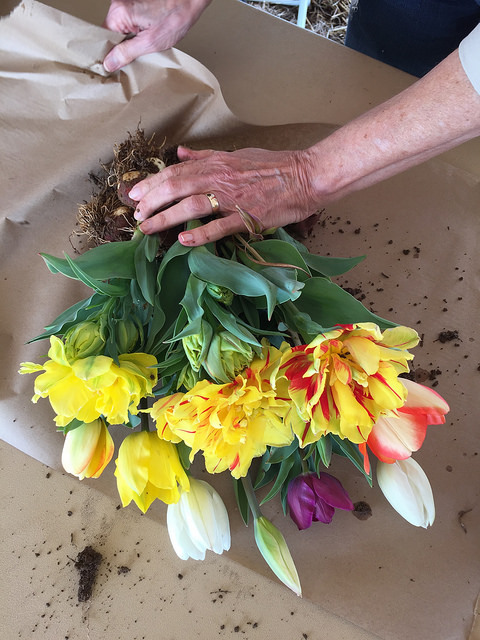 You can pick your own tulips and take them home for $1.50 each- all proceeds benefit the American Village Trust. They will even wrap them up for you so you don’t get your hands too dirty. 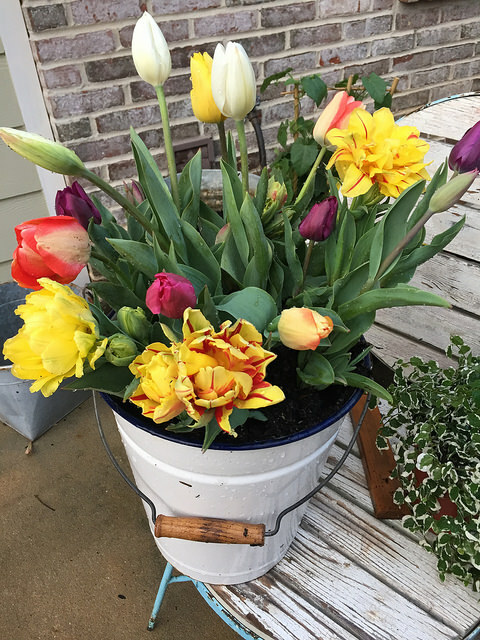 I brought them home and planted them in my a bucket to enjoy on my Spring porch. Once all the blooms fell off I transplanted them into my flower beds. I just looked and last year’s tulips are coming up in my flower beds right this minute. I’m so excited they came back! 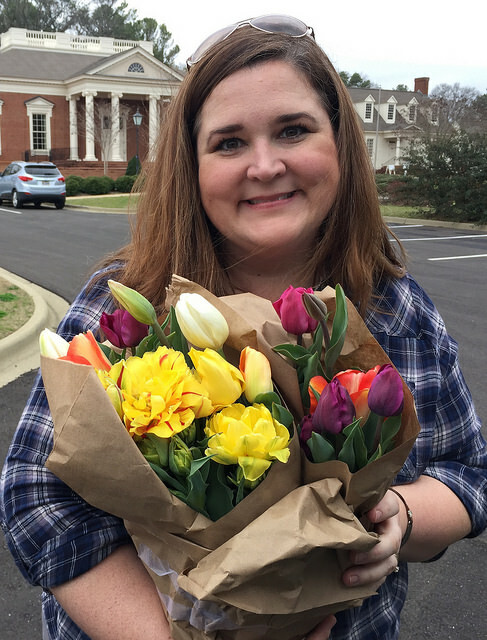 I will definitely be making a trip back to Montevallo to pick more tulips again this year. I hope to see you guys there! 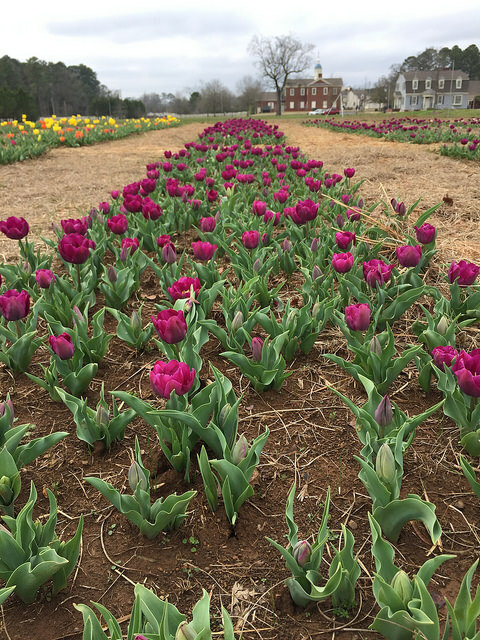 Be sure to like American Village on facebook to keep track of the tulips and find out the hours you can visit. While you’re in the area, here are some of my other favorite things to see and do in Montevallo. I love this beautiful little town so much, and I know you will, too! Stop by my very favorite nursery where I love to buy all my plants, Cedar Creek Nursery. It’s just a few hundred feet past American Village on the right. Have lunch at Main Street Tavern in Montevallo. The food is DELICIOUS. Walk through Orr Park and find all of the Tim Tingle tree carvings. There are dragons and wizards and all sorts of whimsical creatures hiding in the woods at Orr Park. It’s such an enchanted place, and you MUST see it if you’re in the area. Drive around the campus of the University of Montevallo. 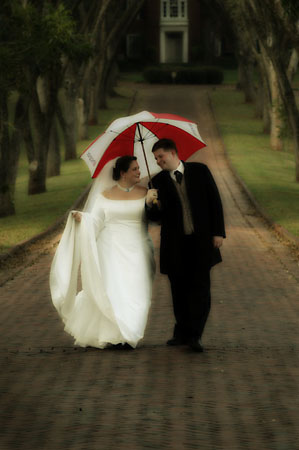 Be sure to take a stroll up to Flower Hill where I had my bridal portraits taken. I want to go! 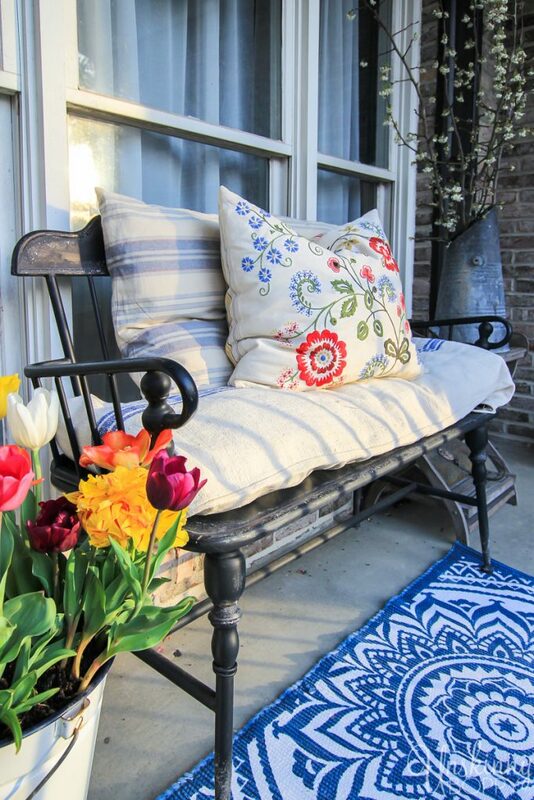 Tulips are one of my favorites! And we love American Village! The tulips were beautiful last year! Mine aren’t coming up yet but I’m hopeful because the yellow bells are blooming. It’s time! 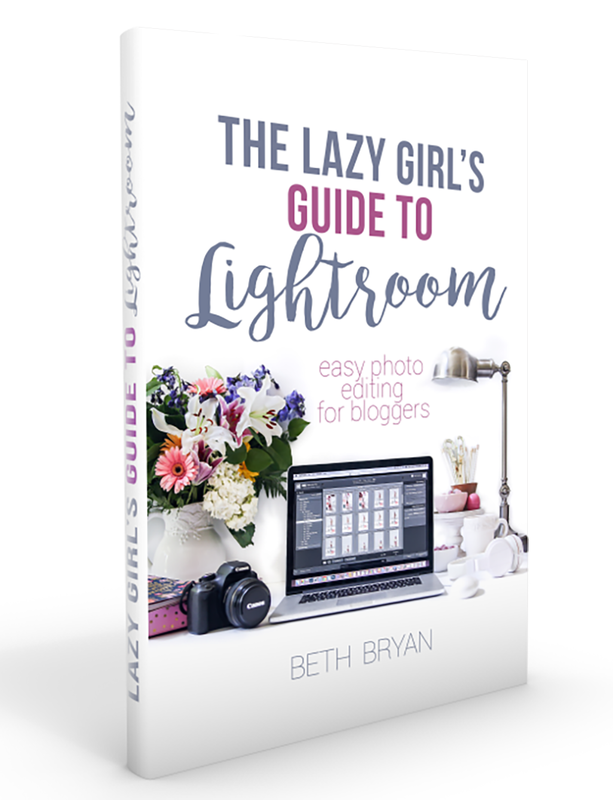 Thank you soooooo much for sharing!!!!! !